On June 1, 2015, at the Louvre Museum in Paris, France, the United States and the International Council of Museums launched the updated Emergency Red List of Iraqi Cultural Objects at Risk. The event took place just before the Counter-ISIL Coalition Small Group Ministerial, June 2. The list, sponsored by the Cultural Heritage Center, is intended to help identify Iraqi cultural heritage objects that are most at risk of looting, theft, and illicit trafficking. 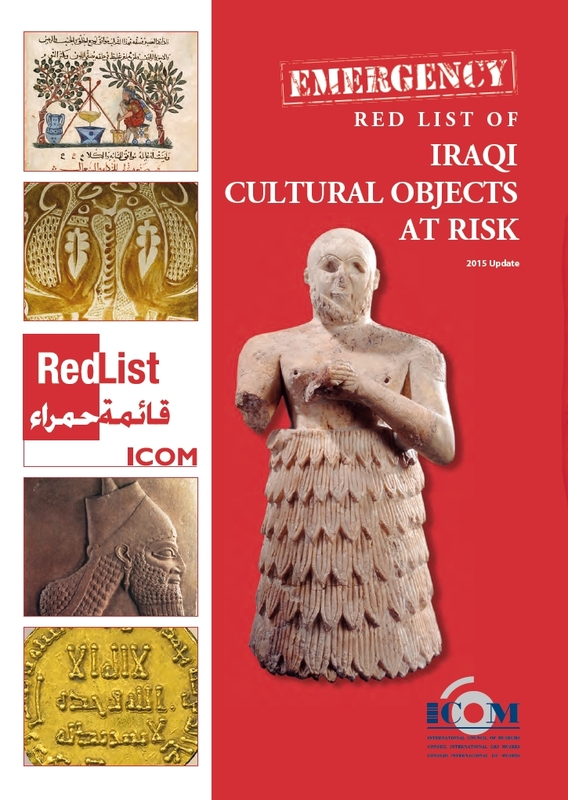 The Emergency Red List of Iraqi Cultural Objects at Risk is one of several Red Lists produced and distributed by ICOM with the support of the Cultural Heritage Center. Previously, on September 25, 2013, the Emergency Red List of Syrian Cultural Objects at Risk was released at the Metropolitan Museum of Art in New York. Others include Red Lists for Egypt (2011), Haiti (2010), Colombia (2010), China (2010), Central America and Mexico (2010), Cambodia (2009), Peru (2007), and Afghanistan (2007). They are available in English, French, the language(s) of the source country, and other languages.